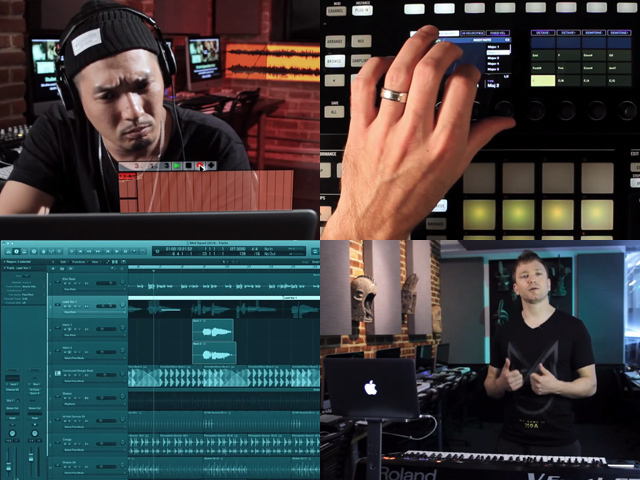 In roundup of Dubspot’s best music production video tutorials of 2014, we look at some of our most popular and well-received music production video tutorials from this year. Goth-Trad (Deep Medi / Japan) @ Dubspot – Building a Track! This video featuring Goth Trad was a bit of a departure from our usual content at Dubspot, but it proved to be a great video. Goth Trad builds a track from scratch here at Dubspot NYC using Ableton Live, NI Battery, and Stylus RMX. The resulting track is a deep dubstep tune with copious amounts of low end. Maschine 2.2 brings two major free updates that Maschine users have been begging for since the day Maschine was initially released: Scale Modes and an Arpeggiator. Playing melodies on a 4×4 grid of pads is not easy to do, certainly not as easy as it would be on a keyboard. Now thanks to this update, Maschine supplies a myriad of scales nestled within the Pad Mode so you can bang away on the pads and create interesting, sometimes exotic, melodies without worrying about hitting wrong notes. It makes writing with Maschine even more gratifying as it is now easier than ever to just get “lost in the flow” using nothing but the controller to produce music. Early on in the year, Bill Lee presented this great tutorial on the “Flex Pitch” tool in Logic Pro X. Bill is now one of the heads of our EDU department at Dubspot NYC, this guy seriously knows his stuff. In this three-part Music Foundations tutorial, Musician and Dubspot Instructor Max Wild demonstrates how to use seventh chords to enrich harmonic progressions. In the first tutorial, Max explains the different types of seventh chords, and shows you how to construct the major 7th (Maj7) chord. Read more here.